The next meeting will be Monday March 14th at 7pm. We don’t have our usual meeting place at the Firehall library, so please contact us if you want to attend the meeting. Transport Action BC will also be attending Western Rails – Canada’s Largest Railroadiana Show on Sunday March 20th at Cameron Centre in Burnaby. It will be from 9AM to 4PM, the location is just to the north of Lougheed Mall, easily accessible from the Lougheed SkyTrain station. 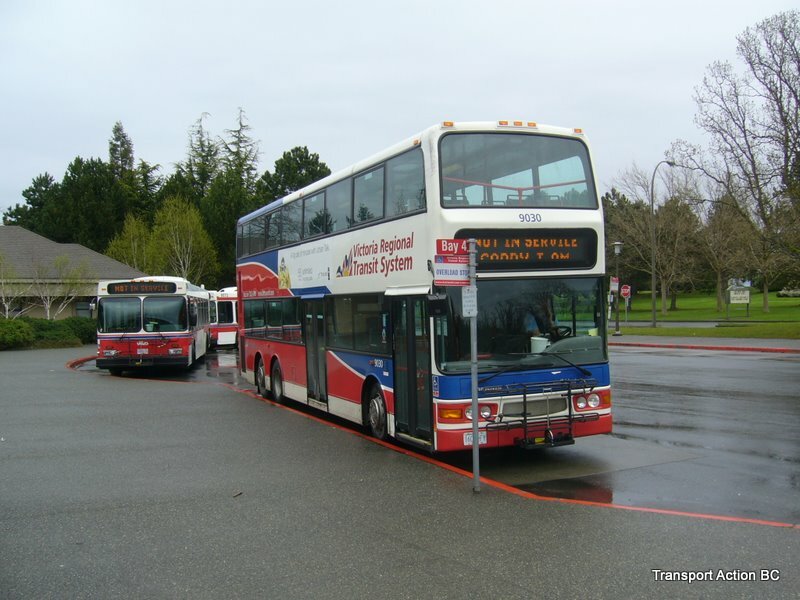 Victoria double deck transit bus at UVic exchange.